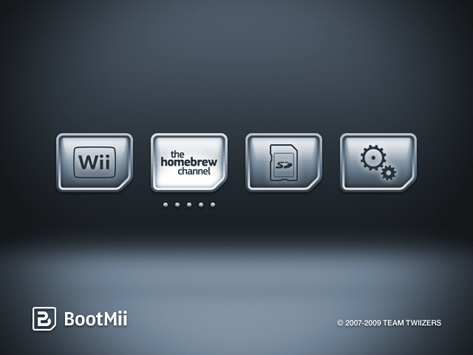 I'm about to install bootmii as boot2, which I understand is the preferred option since it allows me to backup and restore my wii incase it gets brickd in the future. Can someone please explain to me what will happen upon turning on my wii once this procedure is completed? If I just want it to go straight into the normal Wii operation do I just select the Wii button? Will that auto-select after a while? The reason I ask is that my children play on this fairly often and so do not want to overly complicate how the Wii turns on. If it times out after, say 10 seconds of inactivity, and then boots the Wii as normal then that would be great, but I want to be prepared before I change anything. Thanks very much. I'll give it a whirl tonight. just confirming that this all went without a hitch. I have backed up my Wii NAND so can recover now if anything goes stupendously wrong.